BRUSSELS (Reuters) - Britain must present a detailed plan how to push the agreement on its withdrawal from the European Union through parliament to get the EU's approval for an extension of the March 29th membership deadline, Irish foreign minister Simon Coveney said. 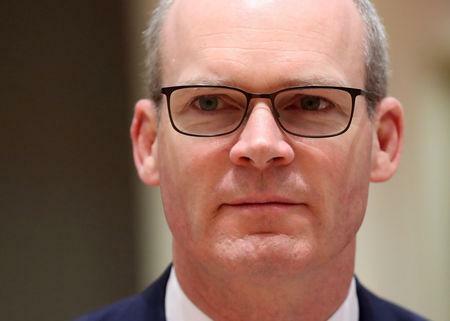 But Coveney said that EU leaders, who will discuss Brexit on Thursday afternoon at a summit in Brussels, would need some convincing to grant an extension of the talks that have already been going on for two years. "Any plan will have to be very persuasive on how they (Britain) will use the time. If there is a request for an extension it will have to be accompanied by a very detailed plan on what they will do to get majority support," he said. "It is very clear that EU do not want to grant an extension that brings us back to same point as today in three months time," Coveney said. He said the EU would not re-open the already agreed withdrawal deal negotiated by Prime Minister Theresa May and subsequently rejected twice by her parliament, but that the EU was open to changes in the political declaration on future relations tht accompanies the withdrawal treaty.